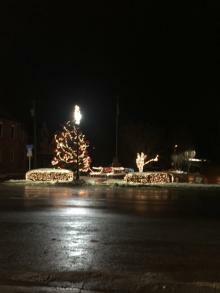 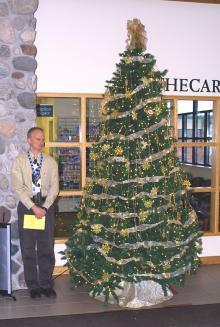 The 2009 Christmas Tree Lighting Ceremony, “Lights of Love”, sponsored by the Portage Hospital Auxiliary, was held Thursday, December 3rd. 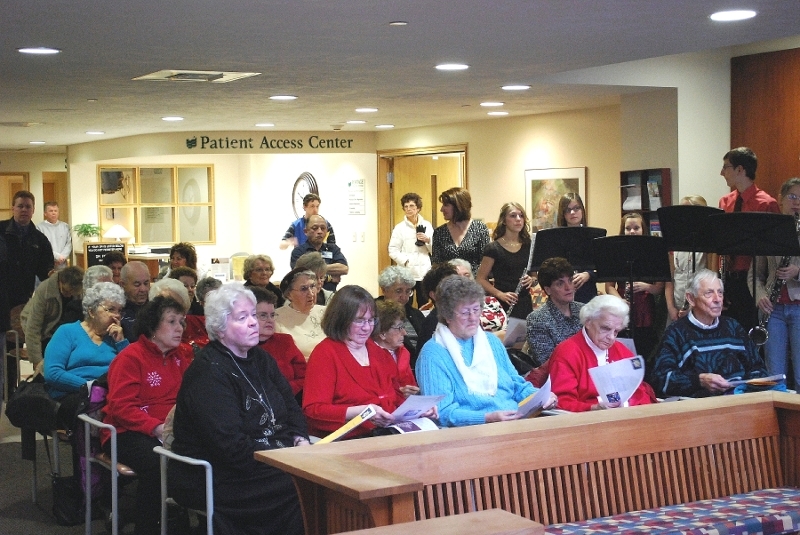 A nice crowd gathered in the Hospital reception area for the occasion. 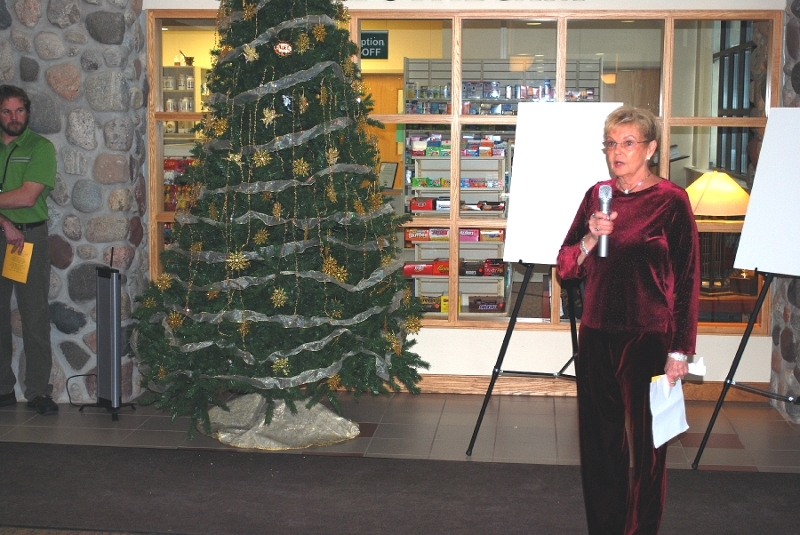 A welcome and opening remarks were made by Fayth Wolfe, Portage Hospital Auxiliary President. She said success of the program meant scholarships could be granted to area college students pursuing careers in health related fields. 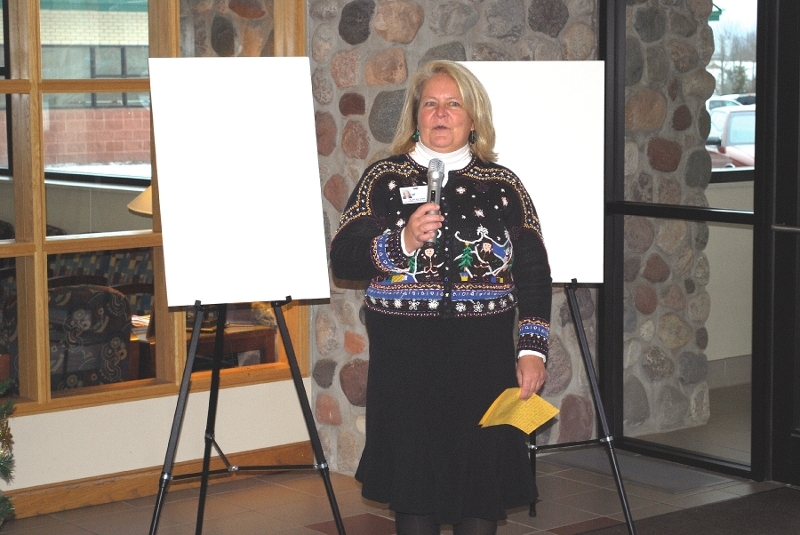 Also speaking was Karin Van Dyke, Vice President - Communications & Human Resources, who thanked the Auxiliary for their efforts. 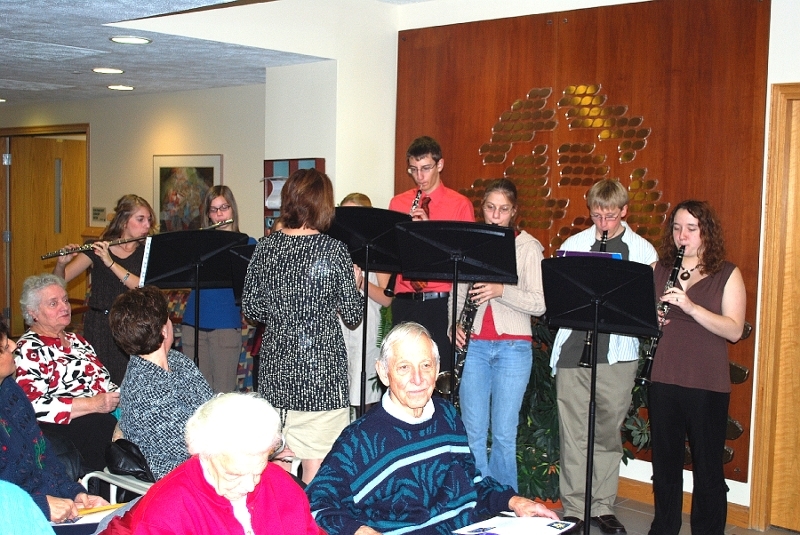 Musical selections were performed by a Hancock High group, with Cheryl DeLong, Director. 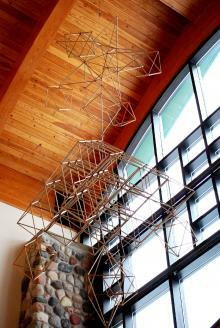 A new work of art, named Himmele, was recently donated to Portage Health systems, and is now proudly hanging in the multi story atrium. 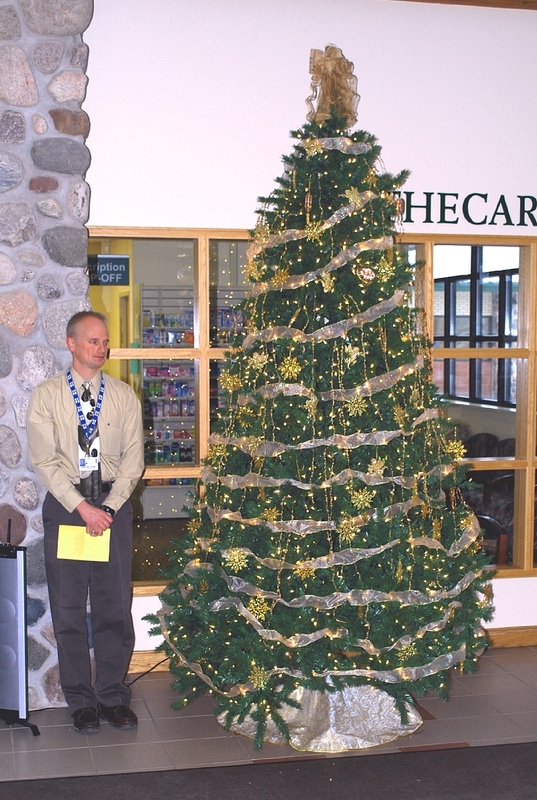 Fulfilling the task of lighting the Lights of Love Tree, was Jason Evans, Pharmacy Director. 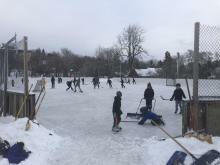 The occasion was enjoyed by all.